Are Contacts Hard To Put In? In most cases, properly fitted contacts are not hard to put in. In fact, they are easy to apply to and remove from the eye. It just takes a little practice. And patience. If Kids Can Put In Contacts, So Can You! The potential difficulty in putting contacts on is a concern many parents have when their children express an interest in wearing contact lenses. But recent research shows most kids do just fine when it comes to handling and caring for them, and they don't seem to find contacts hard to put in. In one recent study, 169 children (84 kids ages 8 to 12 and 85 teenagers ages 13 to 17) were fitted with soft contact lenses for the first time. A significant majority of even the youngest children in the study mastered applying, removing and handling their contact lenses. And 83 percent of the pre-teens and 89 percent of the teenagers said the contacts were easy to take care of. Their parents concurred. At the end of the study, 86 percent of parents of the pre-teens and 89 percent of parents of the teenagers agreed with the statement, "My child is demonstrating that he/she is responsible enough to wear contact lenses and properly care for them." 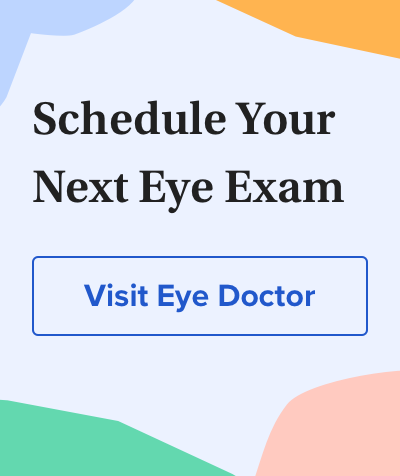 Whether you are the parent of a child who wants contacts or an adult desiring to try contacts yourself, during a comprehensive eye exam and contact lens fitting your eye doctor will take a number of measurements to select the contact lenses that are best for you or your child. During the fitting, your doctor will note the amount of space between your upper and lower eyelids when your eyes are open normally. If this space is limited (as it may be with people of Asian heritage or people with small or deep-set eyes), your doctor may choose a soft contact lens with a smaller-than-average diameter to make it easier for you to insert and remove your contacts. After washing your hands thoroughly, look in the mirror, open your eye widely and try touching the white part of your eye with the soft pad of your fingertip without blinking. Use the same motion you will use to apply your contacts, and keep your finger on your eye for a second or two before removing it. It may take a little practice, but once you master this skill, putting on your contact lenses will go much easier. If you still have trouble putting on soft contacts, your eye doctor may recommend gas permeable contactsinstead. Though wearing these rigid lenses takes some getting used to at first, they are much smaller in diameter than soft contacts, and many people find they are easier to put in. With each successful attempt, putting in contacts becomes easier and easier. Contact Lenses in Pediatrics (CLIP) Study: chair time and ocular health. Optometry and Vision Science. September 2007.